Living Raw with Susan: Avocados...an irresistible treat at any time. Avocados...an irresistible treat at any time. I’m aware that avocados are often a child's first solid food – and believe me, it is love at first bite! These friendly fat fruits are a mainstay of any healthy diet and belong on every shopping list. Avocados have so many health benefits; the fact that they’re so delicious is almost a side note to why we should eat them. But – like so much else on our beautiful planet – they make healthy living, delicious! The typical avocado is about 250 calories, 75% of which are fat calories. But wait – almost all of an avocado’s fat is monounsaturated – the kind we need to process the other less desirable kinds. In fact, avocados are proven to decrease LDL (bad cholesterol) and increase HDL (helpful cholesterol). Did you know avocados have more potassium than bananas do? 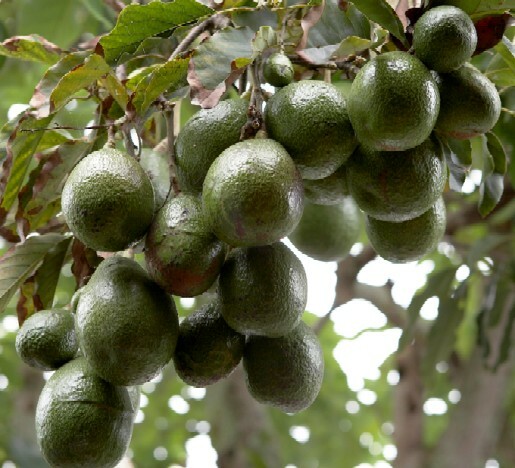 And extracts of avocado are being researched as aiding in the reversal of hypertension and diabetes mellitus. And a new study out of Japan suggests that avocados may have an antibacterial component. 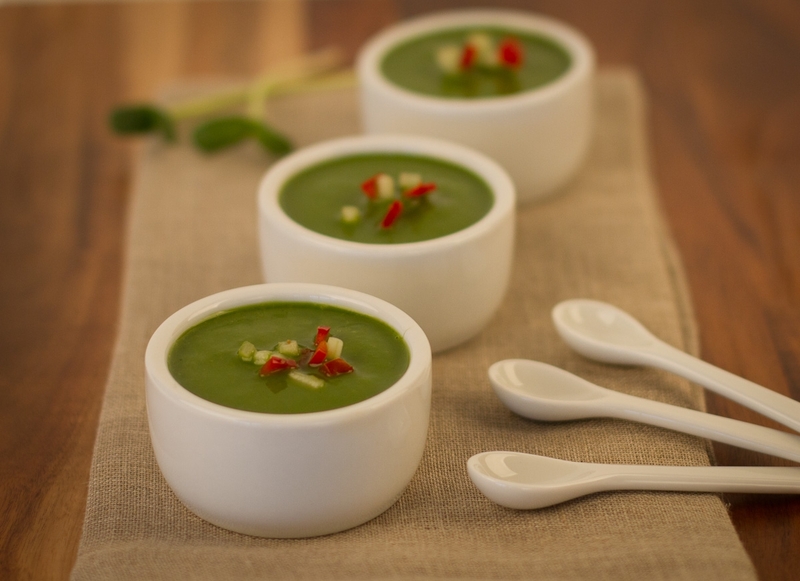 Here is one of Cherie Soria's favorite Avocado Soup Recipes with picture attached. The avocado originates in Mexico, the earliest reference to which dates around 10,000 BC. The avocado tree also has a long history of cultivation in both Central and South America, with an avocado shaped urn found near the pre-Incan city of Chan Chan dating from 900 AD.The domesticated avocado tree we know today is descended from these ancient roots and provides us with this irresistible treat. Beside being a creamy, delicious alternative to dairy foods like sour cream and butter, not to mention making a wonderful base for chocolaty raw treats, the avocado is perhaps best know for its place in Mexican style cuisine. 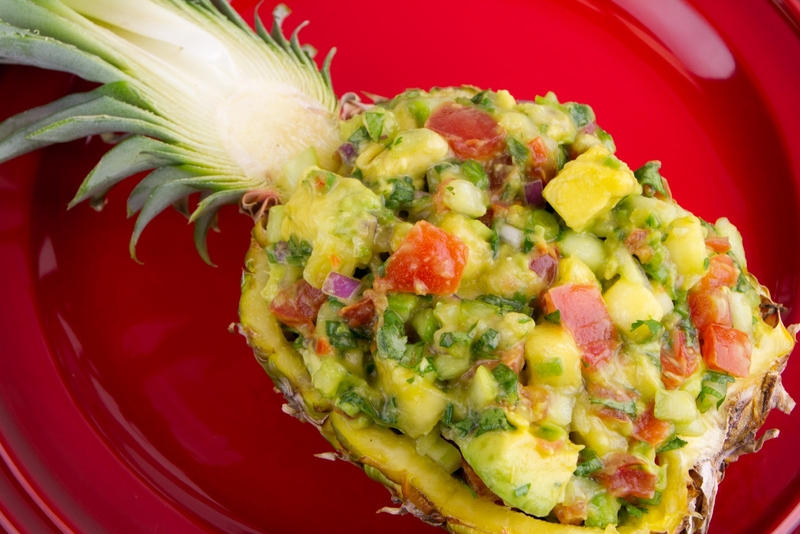 Cherie also loves this Avocado-Pineapple Salsa; it is totally delicious! Put all the ingredients into a bowl and stir to mix. foods we can include in a nutritious diet.